Amazon is basically the James Franco of internet companies, keeping everyone on their toes when they launch new and unexpected projects. Forget e-books, same-day delivery, and original programming -- it's got its sights set on drones and brick-and-mortar bookstores. But for all the attention surrounding its ambitious plans, little's been said about its Home Services division, a section of the site that's been around for about a year but you probably had no idea existed. Believe it, folks -- you can hire plumbers, contractors, movers, gardeners, designers, painters, and housekeepers, all in the very same place you've been buying Nicolas Cage pillows and watchingTransparent. 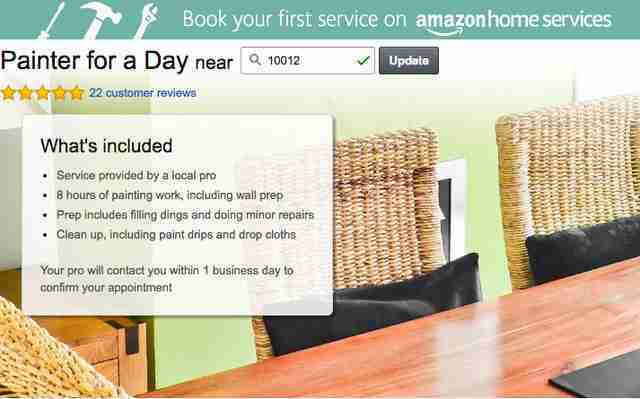 Essentially, Amazon is out to beat Angie’s List at its own game. 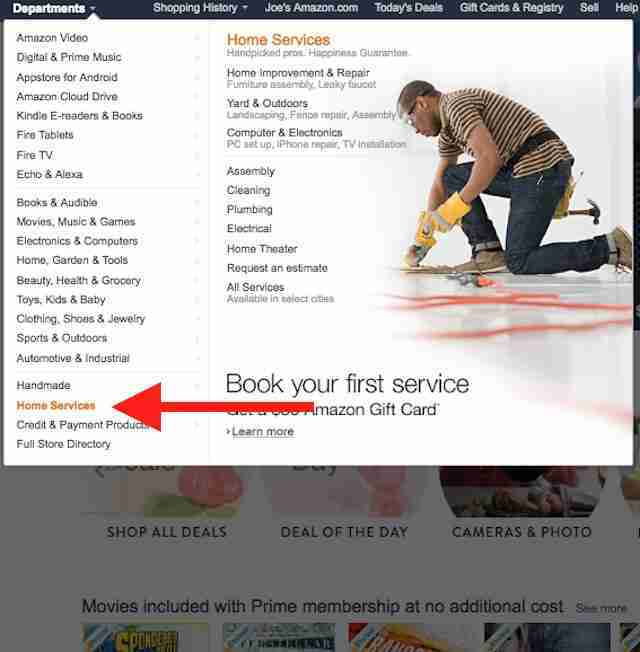 Whereas members shell out anywhere from $45 to $55 a year for Angie's List, depending on where they live, the only thing you pay Amazon for is the service itself, using whatever credit card it already has on file (Amazon pockets a cut for itself, obviously). Other than the free factor, whether Home Services is really better than Angie's List I can't really say -- I'm not a 50-year-old mom. 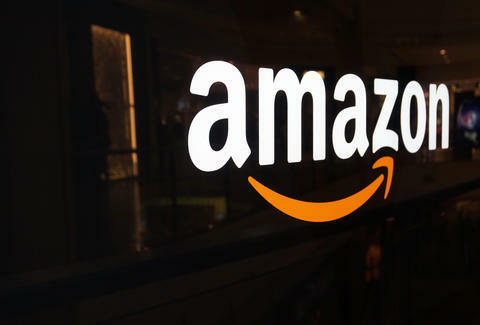 People love Amazon: it makes it incredibly easy to a) save boatloads of money, b) never use the phone again, and c) never leave the house or shop anywhere except Amazon. The Home Services section is no different, offering a scope of services that is seemingly endless -- including the fabulously vague “Customized Requests." Whether you need your gutters cleaned, your website re-designed, IKEA furniture assembled, or your basketball hoop installed, the company will set you up with someone local to come get the job done. Of course, Angie's List has an equally enormous list of services -- no basketball hoop installer, though. Both services offer user reviews, and Angie's List doesn't allow any anonymous submissions, which is nice. Let's face it, Amazon doesn't exactly have the best track record for reliable user reviews... but everyone writing in the services section has the "Verified Purchase" sticker, so it's probably legit. It's currently available in 30 cities, with more on the way Home Services is being slowly rolled out across the country. 30 cities -- including New York, LA, San Francisco, Chicago, Dallas, Miami, DC, and Seattle (where Bezos and team are located) -- are already knee-deep in access to handypeople. Everyone else, be patient: you’re on their radar. Everyone on Home Services has been screened to ensure they have the proper credentials to walk your dog, or haul away your garbage, or whatever the hell you need done. An extensive approval process includes a pre-screening (media searches, online interviews, and reference checks are involved), and a comprehensive business background check. Anyone who's sent out to your house is required to pass a six-point criminal background check. They’re also required to maintain a certain level of quality -- if they don’t meet ongoing performance targets (including responsiveness and ratings quotas) they get the boot. If you’re bummed out with the quality of a job, you can file a “Happiness Guarantee” claim to initiate an Amazon investigation, which is very official and serious-sounding. They'll work with the provider to make sure the situation is resolved to your satisfaction so you can turn that Amazon frowny face right-side up where it belongs. Joe McGauley is a senior writer for Thrillist, and fairly certain his Amazon search history says a hell of a lot more about him than any social media account.